There have been countless studies done that have shown a direct link between meditation and creativity. I can speak to it personally, and so can the writers I've worked with and know. Below are some helpful links. From the Lotus & Pen blog: Can Meditation and Mindfulness Help Your Creativity? From Mindful.Org: Does Meditation Boost Creativity? 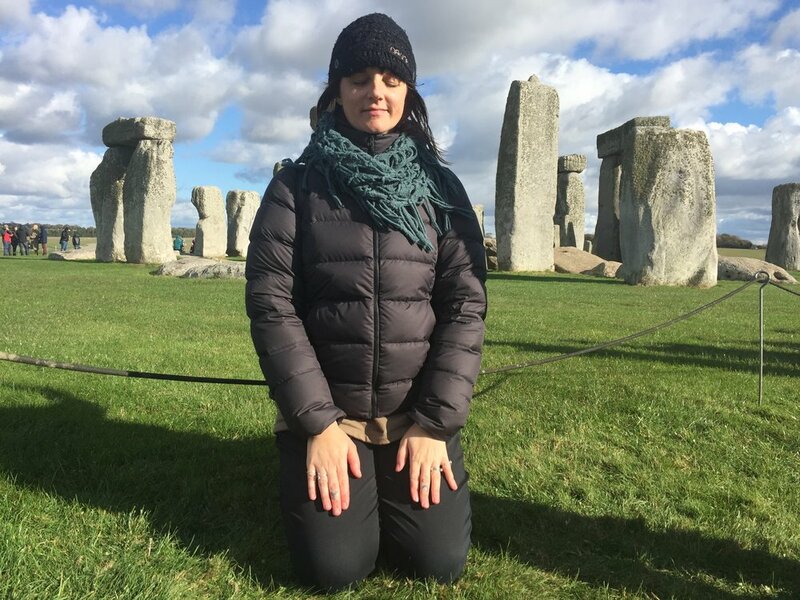 One of my retreat participants, Jessica Conoley, did a whole meditation and creativity experiment after learning to meditate with me. Here's what she found. Blame it on the R.A.I.N. So, how do you begin a practice? Especially if you're pretty sure it's impossible for you to sit still for even two minutes? Below are a few guidelines to keep in mind. Beyond that, I've listed loads of resources for you, tried and tested by me. These are what helped me on my own journey. I, too, thought I couldn't meditate. Don't worry, you totally can. And it will change you, your writing, your relationships, and your life. I can pretty much promise you that. Start small. Five minutes/day for a week. Ten minutes for a week. And so. Ideally working up to about 20 minutes a day. It's best if you meditate at the same time every day. Mornings are usually preferred, because that way you for sure get it in. Before bed is good, too, though you might be too sleepy. Try to have a space that's already set up for you to meditate, so you can just sit your bum down and go. If you're using a timer on your cell, put your cell into airplane mode. I don't need to explain why, do I? Loop people you live with in on what you're doing. Make it clear that you are not to be interrupted during this time. The more seriously you take these boundaries and your practice, the more they will. You don't need a cushion--a chair will do. Scroll down to find out more about various meditation set-ups, posture, etc. Most people find it easiest to begin with guided meditations. Below are some apps to get you started, including a link to my own free guided meditations for writers. The goal is to eventually be able to sit on your own, with no guidance. Ditto no music, not even nature sounds. I teach and advocate mindfulness meditation, which is the art of learning to sit with whatever's happening. We're not trying to shut out the world: we're training in how to be in it. The best way to start is to just do it. If there's a studio that offers classes in your area, that's great, but you can absolutely begin a practice on your own. I recommend using an app, ideally one that has a way for you to start a program, such as the 10% Happier App or Headspace (more on this later). If you want more freedom to try lots of new styles and teachers, then something like Insight Timer would be great for you. Insight Timer: This has tons of meditations by world-renown teachers, including my own Mindfulness for Writers guided meditations and podcast. The timer is really good, with lovely gong and bell options, and there are lots of opportunities for community, as well. Free and user-friendly. Teachers to check out are Joseph Goldstein, Sharon Salzberg, and Tara Brach. 10% Happier: A great intro to meditation (also a book - I highly recommend the audio version, as well as its second installment, Meditation for Fidgety Skeptics). So many great videos and guided meditations on here. If you really want to dive in and be guided through the process of starting a practice from the ground up, this is for you. Paid and free versions, though it seems that the paid is the way to go. Headspace: Headspace is another go-to for more guidance. They have programs you can go through to build your practice step by step, and the animations are actually pretty great. It's best when unlocked through the paid version, but well worth it. Your mind will race and that is totally normal. Thoughts are not the enemy. Do an intake before you begin your practice so you can get a good idea of how the practice shifts things in you, your life, and your writing. Then, try and keep track of the connection between your meditation and your writing, so you can see how it's directly affecting your writing practice. You can download my intake and meditation log here. Know that the changes you see aren't going to be on the cushion or chair so much as in your life. So it's not about having blissed-out experiences while you're meditating, it's noticing how you're less irritable with the people you love, more in flow and focused when you're writing, and better able to enjoy simple pleasures. That's what it's all about. If something cool happens on the cushion, it really doesn't matter. If something cool doesn't happen, it equally doesn't matter. While meditation can be relaxing, that isn't its intention. Meditation can sometimes feel like hard work. It's difficult to simply focus on your breath, and sometimes uncomfortable emotions arise, or we feel bored, or sleepy. This is all normal, all part of the process. 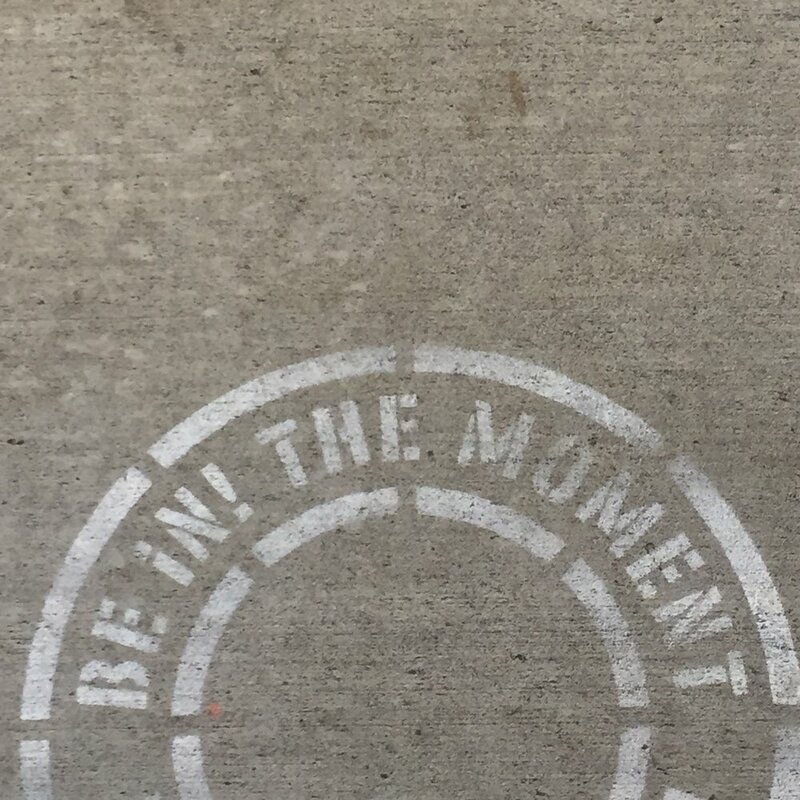 The practice is all about that moment when you realize - mindfully - that your attention has wandered and you are no longer focused on your breath or mantra or whatever. That's what it's all about. It's not about how long you can go before your mind wanders. There is no good or bad meditation session. It just is. No judgement. Be kind to yourself. For you perfectionists out there, you might feel the need to be the best meditator ever. It's all good when you lose focus, get sleepy, feel bored. Be kind to yourself and know you can always begin again. Oh, man, where do I even start?! I've categorized as best I can, beginning with the essentials if you're totally new to meditation and mindfulness, and want to begin a practice. Anything by Mary Oliver. She is mindful AF. I'd just go out and buy her collected poems, volumes 1 and 2. David Chernikoff: My personal teacher, a spiritual friend who is wise, warm, and draws from many traditions to support Buddhist Vipassana (Insight Meditation) practice. His Dharma talks (basically Buddhist talks on life stuff) are excellent, and he has a HUGE library of them online. Sharon Salzberg: One of the foremost teachers in the USA, she's best known for spreading lovingkindness (or, mettā) practice. Her podcast is excellent, and she's a regular contributor on the On Being blog. She's a great resource if you really want to focus on compassion, self-love, and spreading love. Adreanna Limbach: One of my mentors who has guided me through the process of becoming an instructor myself, you'll find gorgeous blogs from her about self-worth and dealing with life/work balance, and everything in between. She has really great online offerings, too. Susan Piver: It's worth signing up for her free newsletter for the Open Heart Project, which includes a weekly meditation video. She's one of my favorite teachers: she's really authentic, and is great at distilling the practice so that you can have one of your own. She keeps it real. Meditation has been scientifically shown to do the following (these facts are all over the place, but I got them directly from Susan Piver's excellent Start Here Now. Alberto Chiesa at the University of Bologna conducted a review in 2011 of 23 previous studies and found that mindfulness meditation practices improve working memory and the ability to sustain focused attention (The Science of Mindfulness. Foundation for a Mindful Society, 2011). What research to date also clarifies, however, is that even when we are relaxing or daydreaming, the brain does not really slow down or stop working. Rather—just as a dazzling array of molecular, genetic and physiological processes occur primarily or even exclusively when we sleep at night—many important mental processes seem to require what we call downtime and other forms of rest during the day. Downtime [i.e. meditation] replenishes the brain’s stores of attention and motivation, encourages productivity and creativity, and is essential to both achieve our highest levels of performance and simply form stable memories in everyday life.